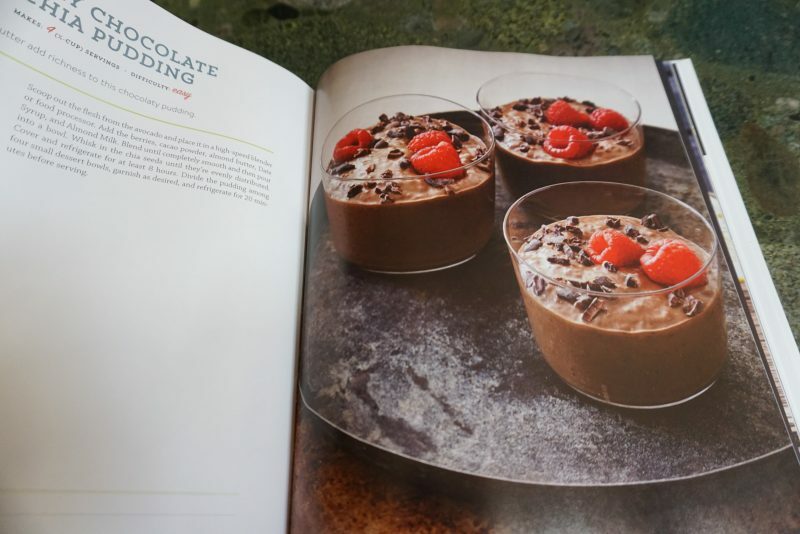 What I’m Eating and “How not to Die.” My Eating Evolution and A Book Giveaway. If you’ve been around here long, you’ve probably heard me talk about how I eat, which is pretty well summed up as “Everything in moderation.” It’s been that way for nearly 16 years, ever since I gave up dieting and made some radical changes in my relationship with food and exercise. This scary move away from a lifetime habit of diet plans and strict workout routines resulted in my finally experiencing freedom, and (the surprising icing on the cake) — landing naturally at my ideal weight. This is not to say that I am careless in my eating. As I say in my book, “Freedom” does not mean reckless abandon. I eat small portions (most of the time 🙂 ) and I really try to eat mostly healthy foods. I know a bit about nutrition, and I’m also married to a hospital physician who will gladly remind me of how many of his patients are suffering because of lifestyle choices that so easily could have been avoided. So, I suppose you could say that I eat mindfully. But I also love cheese. But here’s the thing: I’m 47 now. And if you aren’t 47 yet, I have some news for you (spoiler alert! ): Things change. I’ve already talked about my bad back, and I let you in on my little secret about stress incontinence. (shhh.) Then, in this video with Dave, I shared my recent news that my LDL cholesterol has been inching up higher than it should be. There is a hereditary component to that for sure, but It’s been a wake up call. And I’ve begun to make more intentional choices to see if my diet alone might be able to correct things. Then to complicate things even more, my husband recently took a long weekend to visit his family in Oregon. He spent time with his parents and his sister, who is married to a family physician. Ted. Remember Ted from this post? Well, Ted has become quite a health enthusiast in the past couple of years. In fact, besides being a great guy, and a beloved family physician, Ted is in the process of getting certified in lifestyle medicine. But deep, deep deep (really deep) down, I knew he was on to something. For one, Dave is really wise, grounded, and reasonable. He won’t even blink at trendy health fads (or trendy anything) and he won’t even consider research unless it is evidence-based. Dave has said that he cannot remember treating a single heart attack patient who was a known vegan. So I couldn’t really argue with any of it. Dave suggested we should read the How Not to Die book. Then, the very next day I was at Costco, and there right before my eyes was the How not to Die Cookbook. I circled it about twelve times. Then I put it in my basket. I had to admit–Everything in it looked amazing,. I personally LOVE beans and veggies and this was full of the kind of things I love to order when I find a great healthy restaurant. (Southern California WINS in this category) Well, this cookbook is like all of that and more. Next I made a trip to the health food store and bought every seed, nut, and bean the cookbook listed. And for the past two weeks I’ve been busy in the kitchen. Vegan style. 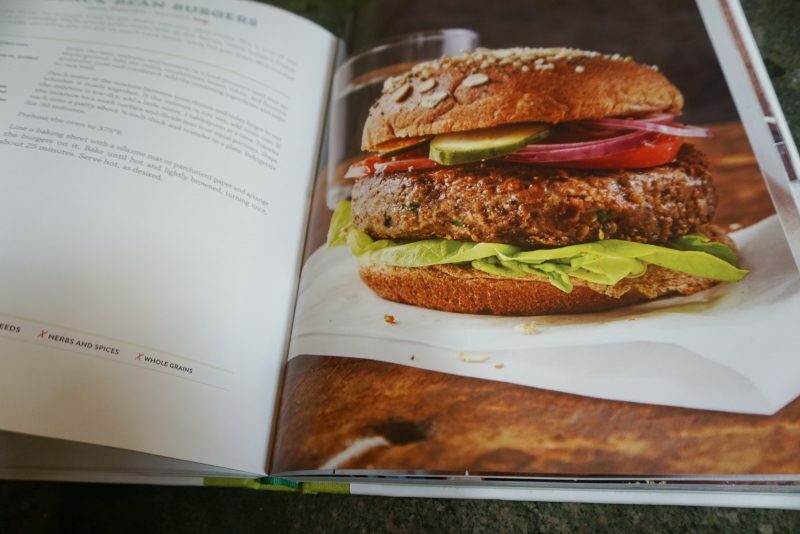 Also in the front of the book, there is a summary of every major disease or health issue, and which foods are most important in combatting them. This is a simplified version of what you would find in the How Not to Die book, but it is interesting, and motivating. My kids have found most of what I am making to be “ok.” (Honestly not their favorite at this point, but they are eating it.) Dave has also said things are “pretty good,” except he follows that with “I’m so thankful because I know how healthy it is, and I could really get used to this!” (The fact is, Dave has always been one to “eat to live” rather than “live to eat.” So, this is not hard for him to say.) There is pretty much no salt in anything, and so far no oil of any kind. So if you’re used to those flavors this will probably take some getting used to. But it’s hearty, and no arguing, it’s healthy. Now, in case you’re wondering…I have to say No: I’m not planing to become vegan. Even if I mostly quit eating meat or cheese or eggs or whatever, I just don’t want to label myself. And I’d like to think that if I had the hankering for some cheese or meat, I’d let myself go for it. But I am incorporating more plant-based foods into my diet every day. I’m tossing more nutrition into my (already healthy) smoothies (because it’s so easy to do!) and I’m trying to avoid some of the junk that has crept into my daily habits. And I am actually kind of excited to be moving in this direction because it is cool to think it’s not about vanity, it’s about health. And I think that I’ve got some good years left in me, so I want to make them the best they can be. 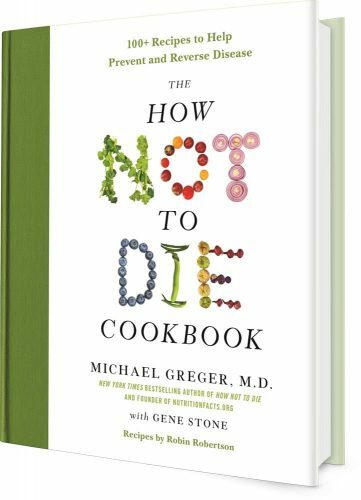 I want to send one of you a copy of the How Not to Die book or Cookbook! Because I know a lot of you have thoughts on this topic, I hope you’ll share! If you’re vegan, tell us about it. If you’re an ex-dieter, I’d love to hear. Have you read this book or any others like it? Oh, and here’s something to comment on: I haven’t seen a single one of the health-documentaries that are out there! So chime in and tell me which one Dave and I should watch first! Here are some links to the books if you want to order. 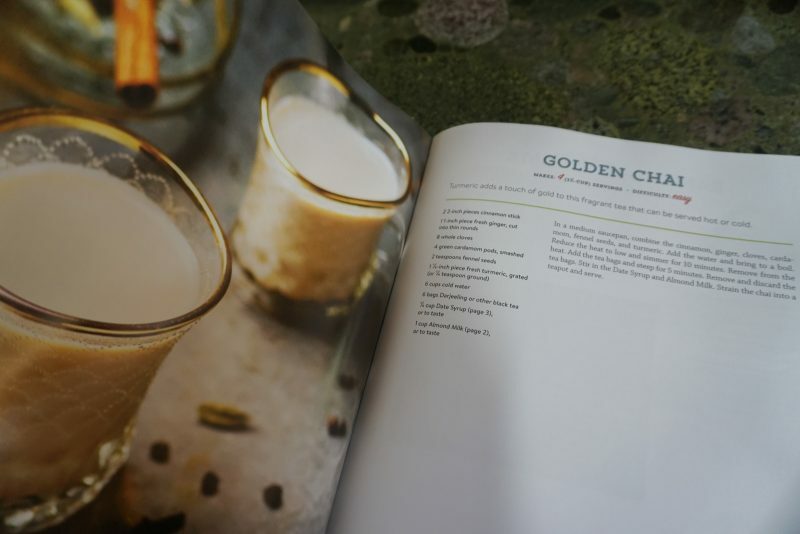 Later this week I’ll share one of our favorite recipes from the cookbook so far. If you happen to go shopping in the meantime, be sure to stock up on zucchini , and any other favorite veggies, and have some pinto beans on hand. Also: Turmeric, (he uses that a lot!) garlic, and chili powder! I have never even heard of these books…thanks so much for sharing!! I have heard good things about this book and now recipe book and was glad to read your experience. I will look for these books. Thank you! And I just turned 47 so I know exactly what you mean. This book is such a cool idea I would love it. I haven’t seen the documentaries yet either, but I do have a great podcast you can go to that supports plant based eating and ultra athletes. He’s amazing and has so many great guests that walk this road. I’m so tempted, but haven’t completely jumped on the full plant bars movement. Rich roll’s podcast. You’ll love him, intelligent, well spoken, and very inspirational, along with all his guests. Have fun in Tahiti, that’s where Keenan and i honeymooned!! I haven’t seen the documentaries yet either, but I do have a great podcast you can go to that supports plant based eating and ultra athletes. He’s amazing and has so many great guests that walk this road. I’m so tempted, but haven’t completely jumped on the full plant based movement. Rich roll’s podcast. You’ll love him, intelligent, well spoken, and very inspirational, along with all his guests. Have fun in Tahiti, that’s where Keenan and i honeymooned!! Hey Jen– Thanks so much for the tip on the podcast. I am always looking for new podcasts so that will be fun! 🙂 I’m curious where you honeymooned here? Where we are I haven’t seen the oversea bungalows or some of the things you see in pictures (though it’s beautiful here, I’m really here with a purpose not so much a vacation, ;)) I’d love to know because next time I’m thinking we need to make this a longer trip and split it between vacay and surf trip. 🙂 Much love to you! Hi friend! 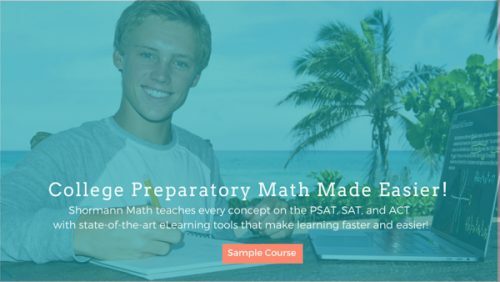 You are going to totally LOVE Rich and his topics!! Very intelligent, mostly on health and well being, but not all. He is a total inspiration, age 51, and still doing incredible, crazy races, all being plant-based! We went to three islands in Tahiti, Bora Bora, Moorea, and Huahine. I believe we stayed in an over the water bungalow in Moorea. It is amazing and so calm. It probably feels a lot like Hawaii. At the time I had never been to Hawaii so the slow pace was something new for me. Of course living in LA life is still too fast for me and the times I’ve been able to visit your beloved home I have certainly been refreshed. I know there is talk of island fever, but I don’t think I would get it! Have a good trip and let’s try to keep in touch more! I’m a subscriber and I’d love a copy. 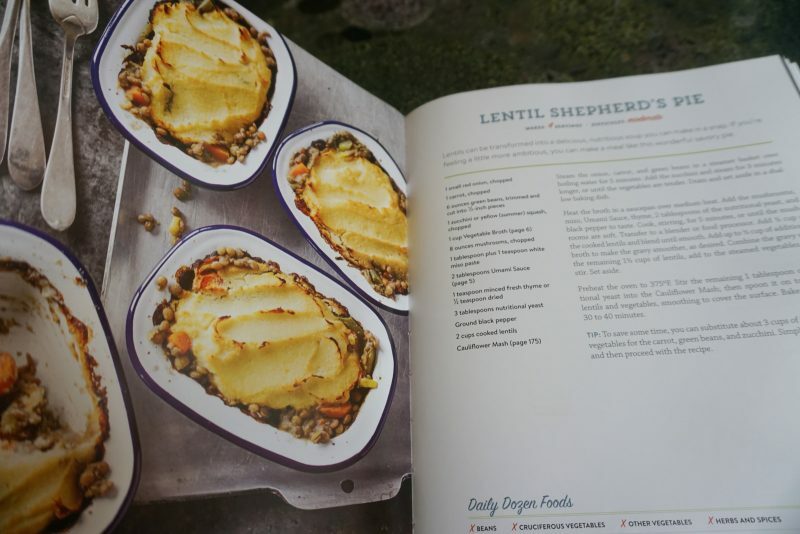 The shepherds pie looks yummy! I have been eating and feeding my family more plant based food since doing a lot of research on the food industry. As far as meat the only meat I was still eating was chicken. But I have to tell you that after seeing the documentary called “WHAT THE HEALTH” it has opened up my eyes and I have completely stopped eating all meat. I highly recommend that everyone sees this documentary. It has been a bit challenging, but with pinterest and YouTube, cooking networks it has helped me to come up with different recipes on vegan/plant based food. As far as eggs , butter and cheese I still have from time to time because it has been a challenge to find vegan eggs, cheese and butter. Right now am reading a book called “FOOD WHAT THE HECK SHOULD I EAT? By Mark Hyman, MD. I recommend everyone reads this book as well. This book you mention above I love to read it too. Looks and sounds very interesting. The recipes all look delicious. I am a subscriber and am so very excited for your new BOOK! Thank you for sharing with us mamas! This is sort of a new way of thinking to me, but I am curious!! 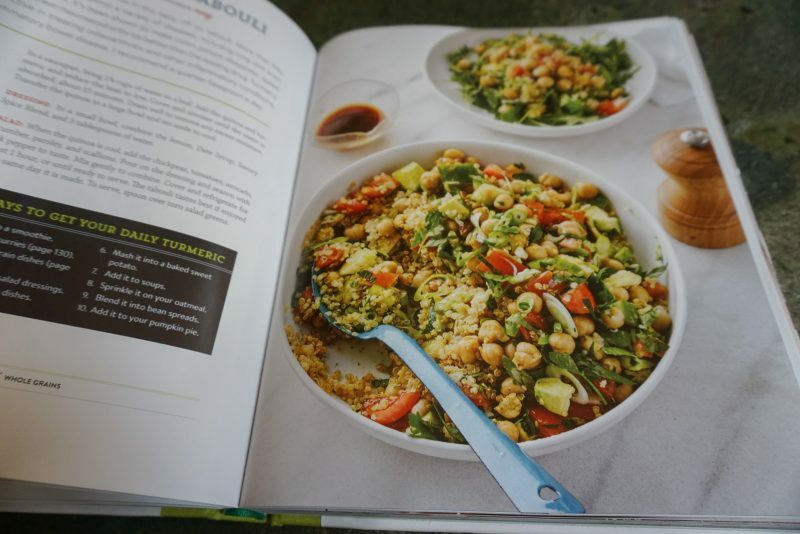 I would love to win your new cookbook! My husband has been doing a Daniel fast off and on and that’s pretty close to a vegan diet. It’s been a challenge to cook for him and for me and for our two girls. Add to that— all the fruit is giving him massive canker sores, so it has really been a effort. I could use all the help I can get! We do love a spiralizer to make zoodles and other veggies. Aloha! Needing a change! Both my husband and I are in our mid 50’s and heart health issues have plagued my husband since his heart attack at age 34 and open heart triple bypass at 52. We grow many veggies and some fruits in the summer and purchase a ton in the winter, but our minds are so brain washed to think we need meat, carbs, and sweets too! My husband is especially addicted and refuses to cut back on those items and increase his plant based food. It’s a bit easier for me because I love fruits & veggies! Need help getting our health back on track! I want to be around for a long time – we have Grandbabies now!!!! Have fun with your son! I am in a food co-op with a friend who is a raw vegan. She is continually talking to me about the health benefits of fresh, local raw food and that she uses food as her “medicine” and her “health insurance” (we live in Australia where everyone has “free” healthcare, but she seldom, if ever, goes to a doctor. She views food as preventative medicine as well as her first means of addressing her ailments). I’ve learned a lot from her and it sounds like this book (and cookbook) follows that same philosophy. I’d love to explore these recipes with my family. Two of my kids are true carnivores. It would be great to get them equally excited about vegetarian or vegan meals. We have been eating a whole foods, plant-based diet for almost 7 years (we = me, husband, 2 sons (ages 12 and 13) and 1 daughter (age 9). My husband (who is also a health practitioner) was a true meat and potatoes guy and wondered if he could make the change. However, the evidence was too convincing. The switch wasn’t necessarily about avoiding foods but about pursuing foods that are the most nutrient dense. Honestly, we are some of the healthiest people we know, and it has not in any way limited his strength goals in the gym. Our kids do great with it and are aware of how different they feel when they do have mainstream foods away from home. The China Study was a foundational book for us, as was the documentary “Food Matters.” Some foods were phased out more slowly than others (i.e. cheese), but now I don’t even miss it. I would love to check out this cookbook! I subscribe to your blog also. This cookbook sounds fantastic! I have a 13-year old boy that decided all on his own to be vegetarian at age 9. However, my husband is a meat and potatoes kind of guy and always gives him a hard time about it. So while I’ve done a vegetarian recipe here and there, my poor 13-year old has subsisted mainly on mac-n-cheese, cheese quesadillas and peanut butter toast. It would be nice to make more meals that the whole family could eat. As far a documentaries go, our family watched “That Sugar Film” on Amazon Prime and found it to be informative, interesting and funny. I highly recommend it. When I read the last bit about using a lot of Tumeric — you scared me. I am actually not supposed to even touch the stuff…. allergy. Wonder if you can ‘not die’ without it! I’m very interested in this book. All my extended family has seemed to turn vegan in the past few years and I am ready to explore how to bring more plant based food into our family dinner table. I am also a subscriber to your blog. First, I love reading about your life and your kids adventures; I’ve been a longtime subscriber. I wanted to chime in. I have been struggling with my health for 11 years. About 7 years into it, I was finally diagnosed with Systemic Mastocytosis. My gut, my skin, my lungs and my heart are all affected by it. I struggle the most with diet. My body goes through “cycles”, where I suffer for months or years at a time with new symptoms. I want so badly to be able to eat tons of real healthy foods. But I am constantly developing new “allergies” to foods and spices. And again…it goes through cycles. The body releases histamine while eating, even if I’m not reacting to a certain food, I’m REACTING. So when it comes to all those healthy foods, I can’t eat most of them. How can someone like me, “clean” up my diet? I can’t eat salads anymore, which makes me very sad. Beans, garlic, onions, most vegetables, a lot of fruits, fats(healthy & non), some meats, peanuts, soy, some dairy, all make me sick. I’ve tried a few meds to help, but I’m sensitive to chemicals, so I end up getting sick. I’ve exhausted my areas doctor’s knowledge, so I just try to treat myself on a daily basis, by not eating the things that make me sick. But it’s still hard, because, well, I get hungry and there’s food all around me, since my family isn’t sick. I’m desperate to feel good, to absorb nutrients, but don’t know how to fix my current health. I have 2 older kids (14 & 17) and I now have a 10 month old. I’m 40 and need to survive for my kid’s sake. I’m not an expert, but in my limited experience and observation, for someone with a lot of food allergies and intolerances, the best thing to do is eat what you can in the most minimally processed form (i.e. “real food” versus “junk”). And avoid feeling guilty when one person’s healthy eating won’t work for you. We’re all different! Hey Monica! I’ve read your blog on and off for a while and really find much of what you talk about so very helpful. I too have four boys so it’s nice to get some advice on that front! I tried vegan (whole food/plant based eating) for a while when I was pregnant with number 4 and felt the best I’d ever felt! It was hard to keep up with though (especially if your husband and kids aren’t fans:/) so through the years I’ve gone off the wagon. I read “Eat to Live” by Joel Fuhrman and the documentary “Forks Over Knives” was very enlightening during that time. I definitely think there is something to all this in regards to health. Maybe this will motivate me to get back into it.😬 Thanks for sharing! Thank you for your wonderful blog! 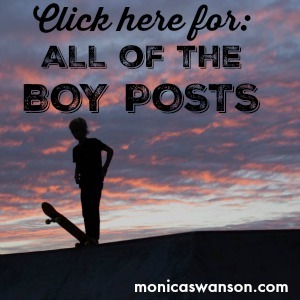 I have been a subscriber for awhile now and have recommended your blog to lots of friends! I absolutely agree with everything you shared on this post. I have felt so frustrated with all the differing takes on healthful eating, and you have inspired me with your take on food- everything in moderation and smaller portions. It Starts With Food by Michael Pollen is a wonderful, eye-opening book that’s been around for awhile now. As for a documentary, Forks over Knives was really informative and probably aligns with “How Not to Die”. Thanks for all you do! I mixed up the title by Michael Pollan. It’s called In Defense of Food…. There are so many conflicting philosophies about what is healthy or not (or various degrees of those designations). I was vegetarian at one point in my life (when I was single without other people groaning about my meal choices) and I felt good. Vegan sounds difficult, but I am intrigued. I appreciate the post and feel encouraged to work on moving back in that direction. I am a very happy subscriber! sounds very interesting! I am always up for learning something new! First of all I’m currently reading Dr. Greger’s book also! It has been so eye opening that we have so much control over our health. You have to watch What the Health, I believe you can watch it on Netflix and YouTube. Have fun on this new journey! I am 48 and I too have noticed that my metabolism is slowing even though I love being active. I want to keep feeling great SO….I have been experimenting with high protein, low carb meals and watching my portion sizes. I haven’t quite yet figured out what will work best for me. Also, I’m struggling with food shopping and meal prep for 3 teenagers that need lots of calories but they have also started to prefer certain eating styles…high protein or no fat… etc.. Hard to satisfy all my family members with one meal! Thanks for this post! I am interested in the book and I am a subscriber! Over here trying to eat healthy to help with some health issues! 🙋🏼‍♀️ I have your book and I love it! Interesting I’ll be checking it out – thanks for the recommendation. Reading your post has me excited to try healthy eating again! I’ve become lazy and choose what a easy – carbs and my lifestyle has suffered because of it. I’m ready for change! Thanks for sharing!This is stuff I have been thinking about more and more. 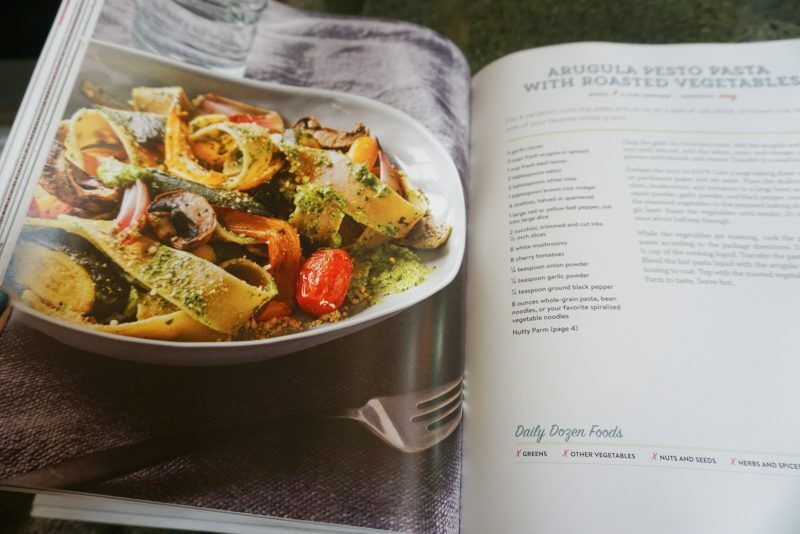 I am nowhere near being vegan, but I am trying to cook meatless for our family more (1-2 times a week) and I have been trying recipes from the Oh She Glows cookbook. My husband and I enjoy eating more plant based, but my boys do NOT love it….they do not like the beans most of all and have also been complaining about the switch to brown rice. But the smoothies are a win – even the spinach packed green smoothies I make for my green-loving 3 year old. It’s a work in progress! I wish I was one to “eat to live”! It would make my life so much easier. My current goal is to include as many fruits and vegetables a day as I can. It’s easier to live that way than to have a list of foods I’m not allowed to eat. I’ve been interested in this book for awhile, but I may just have to get it. Love it! Well, I don’t know that I can call myself a vegetarian or a Vegan, or just anything at all. The fact is that my system has a hard time digesting animal protein. Sometimes I can do eggs, others I get sick. For that reason, I have learned a lot about the micronutrients contained in plants that are so good for us. So, I have been on an almost plant based diet because after my surgery, not heart surgery though, my urologist recommendation was to eat mainly plants since I wasn’t able to break down animal protein. I switched from cow’s milk to Almond and coconut milk 6 years ago because of the whey that milk contains, even if it was organic-grass fed-humanely raised cows. I would get bloated, swollen, and cramping like crazy. I now love my coconut milk, and almond as well. I am trying to heal my relationship with food, though, because of the health problems I had, I was always prohibiting so much to me that was just pushing me to not a healthy mentally; however, I would binge on carbs. Not healthy carbs though as a way to excuse myself: pasta comes from grains. Grains are goods. Right? Nope! So, even though I do eat animal protein, it’s mainly lean protein, and even at times I still get sick, so I go back to my faithful veggies. I have done juice tastings, and I try to have a green juice a day, and I have seen how much different my skin looks, and just how light I feel when I eat vegetables. I still can’t do legumes, because I get super bloated and cramp like crazy. Not to mention constipation, but I’m 34 right now, and I want to do the best for myself, my family, and just be healthier. After my surgery I have learned so much, and I take everything very seriously, but definitely want to go back to enjoy food. Now, I hardly crave sweets treats, pasta, pastries, etc. I am becoming a better version of myself. I’m interested because my daughter is not a fan of eggs and meat and is also dairy intolerant. However, my husband loves eggs and meat. I would love to find some good recipes, especially if they’re good for us. Thanks for sharing about this new book! I am finding myself incorporating more and more the veggies and fruits. More things closer to their natural state, not processed. Please enter me for your give away!!! Oh I love cook books. The recipes look filling and wholesome. And yes, we all should watch what we eat, but realize that everything in moderation works well. C’mon, my grandparents are in their 90s and eat what they love, and are sharp, and walk (even with arthritis). They ate comfort foods. Of course theirs didn’t have all the extra stuff ours has nowadays, but sticking to lean meats, and veggies with a limit on pasta, rice, potatoes and bread makes life and eating enjoyable and fulfilling. It’s common sense, but most people want a quick meal, or over indulge, which is the root of out problem. Hi, Monica. I’ve been reading your blog for years and have always appreciated your honest, straightforward approach to nutrition, family, and life in general. This post REALLY struck a chord in me though. I am 46. I’m a meat eater…and, I don’t have a day without cheese. At my last doctor’s visit, I was told my cholesterol is at 285, and I have hypothyroidism. For the first time, I am considering a serious lifestyle change. I’d love to read How Not to Die. If I’m not the lucky winner, I’d still like to say thank you(!) for making me aware of this book and of how your experience with vegan recipes has gone so far. Katie here! I am a huge believer and follower of your book. I tend to fall in the category of God giving us all food, and to eat all food in moderation. I think incorporating healthier meals into our live as often as possible is a great gift of longevity. I absolutely love cookbooks and would enjoy reading/cooking from this book. Thanks! I am a firm believer in the idea of eating for health and not for weight number. I have been vegetarian in the past but am married to a diehard meat fan and hunter. 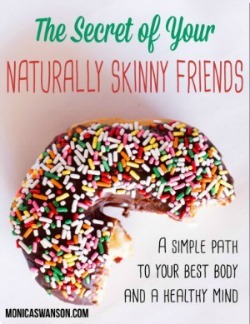 These books would be a great way to incorporate more of a solid plant base to our diets. Thank you for the recommendations and a real opinion on them. Hi Monica, I subscribe to and love your blog. I also became vegan last year. As a healthy but overweight 57 year old, I found my “numbers” were starting to enter the danger zone where my doctor was considering putting me on a statin and other meds. I don’t like to take medication so I decided to try a 100% plant based diet to see what it could do for me. This is my own personal experiment where I will have my blood work re-evaluated in two years. Hopefully, there will be a vast improvement. The vegan food I make is some of the best food I have ever had. Spicy cauliflower curry with rice, Crispy Tofu to dip in BBQ sauce. Thai coconut milk soup, baked potato with sauteed (in Earth Balance Butter or olive oil) mushrooms and onion. If I can’t think of anything else, I just roast any veggie I have on hand with olive oil and seasoning and eat that for a meal. To solve the cheese problem you can eat the fabulous Chao Vegan Cheese from Walmart. Time consuming to cook but delicious stuff. I was Gluten Free from Celiac Disease so I was already tuned in to eating weird foods. Maybe that helped me take the leap. My 11 year old tries everything but does eat meat and seafood. For me, I am happier without it. 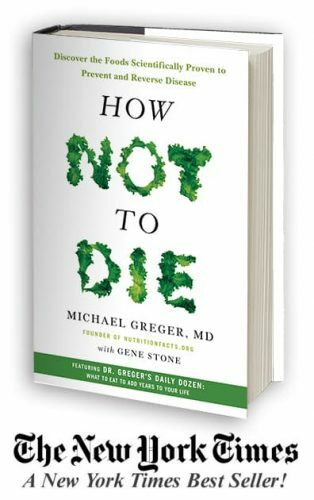 I’d love a copy of How Not to Die! Well, a few years ago I got bit by a tick, and for almost two years I had horrible rashes and hives that were so itchy and would not go away and to this day I am scarred (pigmented) very badly from these. Doctors had no idea what it was. It turns out that that darned tick made me allergic to red meat! So I have stayed away from red meat, and the worst of the rash is finally over, but now I react with minor rashes to unknown things that I am still trying to figure out, so for the past year and a half I’ve had to eat really simply to try to figure out what else that tick made me sensitive to (I never had allergies before the bite). I try to stay away from packaged food unless the ingredients are really simple and understandable! So this would be a great book to expand on my currently bland diet! I just went vegetarian and my daughter went vegan for Lent this year. We have been surprised at how easy it is with so many food choices and recipes out there nowadays. And you are right living in So Cal we have a lot of options even when eating out. But I know she misses cheese every day. And yes, I’m a subscriber! Thanks for the new cookbook idea. 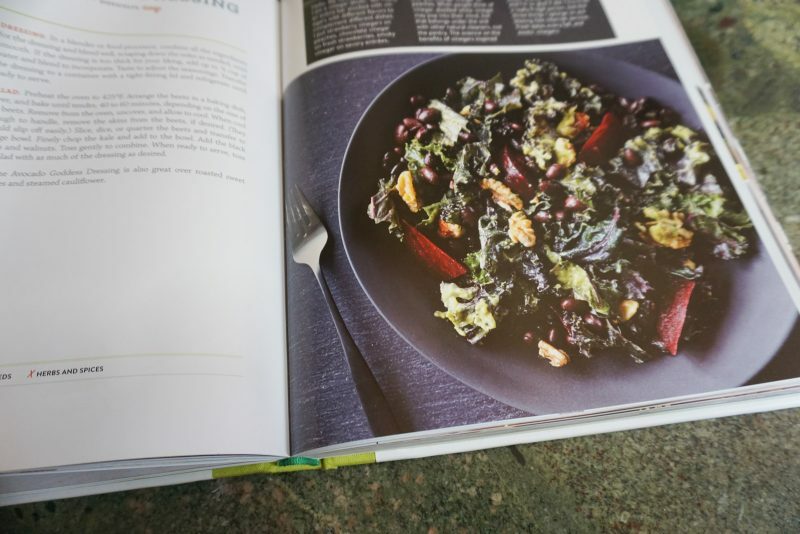 I think, if I get the cookbook it will go into rotation with all of the other great information I have about eating healthy (I grew up in Southern California though I live in the north now) and good nutrition. I have cycled through growing up as a vegetarian, eating lots of whatever in college, back to vegetarian, then vegan and sugar free, then organic hit the scene. Later, when my son had health issues and couldn’t digest beans and high fructose foods (fructose intolerance), we were Paleo (this was great for my hypoglycemia). Now we eat pretty much a Mediterranean style diet (sans the shellfish and pork). We eat lots of veggies, legumes, fruits, beans and not much sugar though it has begun to really creep in and we can should get rid of the sugar again. It has been a beautiful roller coaster of foods and eating styles and I am constantly thankful for the opportunity and financial security we’ve had in order to alter our diets and eat so well and always have enough during my almost 47 years. P.S. I do subscribe. Thanks for your encouragement and great posts. I’m a subscriber! I’d love to read this book and try some recipes. Like you, I can’t promise I would “go all out vegan” but we do need to make some healthier choices! I am a subscriber to your blog and always enjoy reading what you have to say. I especially like what you share about healthy choices not dieting. I read your book and it has helped change my views about being a slave to diets or counting every calorie etc. I have been on a lifestyle change for the past 6 months and want to fuel my body in a healthy, nutritious way!! I love it when you share recipes and insights on healthy living, Monica! We have been following neurologist, Dr. Bredesen’s plan that he lays out in his book “The End of Alzheimer’s” after I heard him speak. I was blown away hearing from people who followed his plan which is being studied at at the Cleveland Clinic. It’s been a good plan for us and has helped me shift to more of a “eating to live” mentality. He recommends a modified keto eating plan (without dairy and lots of meat). I was “coasting” having relaxed from being too concerned with diets and workouts. It was nice and freeing, but like you said (I totally relate! ), I needed to start thinking about the long term. With Alzheimer’s in my family, this is where we landed. I love your blog! Your relationship with food resonates so much with me! I feel like we’re at a place in life where we could pretty easily begin to incorporate more vegan main dishes. I too love cheese, and salt, but at 42 see more of the side-affects of salt (puffy eyes). Our kids are 12, 11, 9, 8 and we could easily incorporate the literature from the cookbook in our health lesson and try making meals together. I can’t see ever becoming strict vegans but I can see being more mindful. Thankfully all our kids are really good eaters and don’t complain about veggies (they begged me to buy radishes at the store yesterday!). But I’ve definitely defaulted to mindless easy food more and more as sports, music and church activities fill our evenings. I’m eager to read more (and slightly nervous!). In 2007 we read the book The China Study which changed our lives. We both have a history of cancer and heart disease in our families and decided we could live without meat and dairy. We call ourselves “flexatarian” because we do eat seafood and of course are flexible when having dinner out or at friend’s home. Is it easy? Not really. I would love the info in this book and some new recipes! This is really interesting. I find it more interesting since your husband is a physician. My husband is health conscious and interested in healthier eating habits for the whole family (he wanted to do a whole 30 but I wasn’t comfortable with it overall). I’d love to try recipes from this book. I’d love to win a copy of the cookbook. I keep trying to incorporate more meatless meals into our meal rotations and my husband is always commenting on how it would be better with meat and that without it, he is never full nor feels he is getting enough protein even though beans are a great protein source! And I subscribe to (and love) your blog! This post could not have come at a better time. I have reached 47 and things are changing! I have been thinking a lot about how we eat and how I would like to change and now I have a plan. Thank you – as so often happens, you are giving me a little friendly push in the right direction at the perfect moment. I’ve seen this book mentioned by another blogger. I don’t doubt that eating more of certain things and less of others is better for us but it’s just hard sometimes. I’ve been wanting to clean up things in our house for awhile but honestly I’ve been lazy about it. My excuses are having picky kids that always want to eat ‘right now’ so I’m rushed. I also find recipes with a long list of ingreidients overwhelming. Like I said, excuses. Maybe a fresh new look at something is what I need. I need to win this book! I’m trying to live a healthier lifestyle and promote it for my boys. The southern cooking I grew up with and we love isn’t too waistline friendly!